Left out of the title race, Ohio State is instead returning to the stadium where the Buckeyes won the first national championship in the four-team College Football Playoff system. 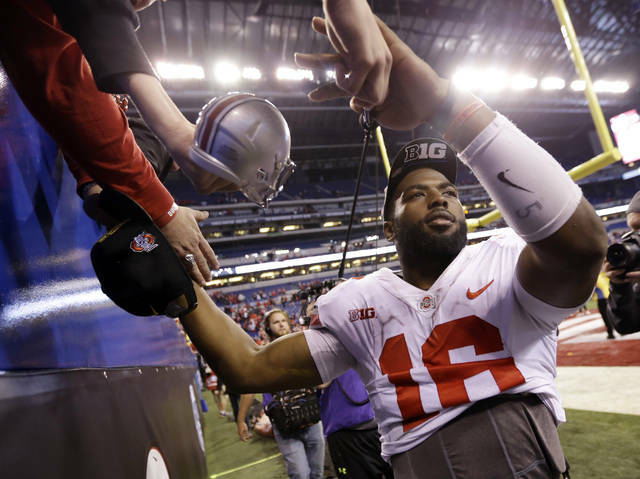 The Big Ten champion Buckeyes will play in the Cotton Bowl on Dec. 29 against Pac-12 champion Southern California in a matchup of 11-2 teams that flashes back to past Rose Bowls. This will be the eighth time they play in a bowl but the first time outside of Pasadena, California. 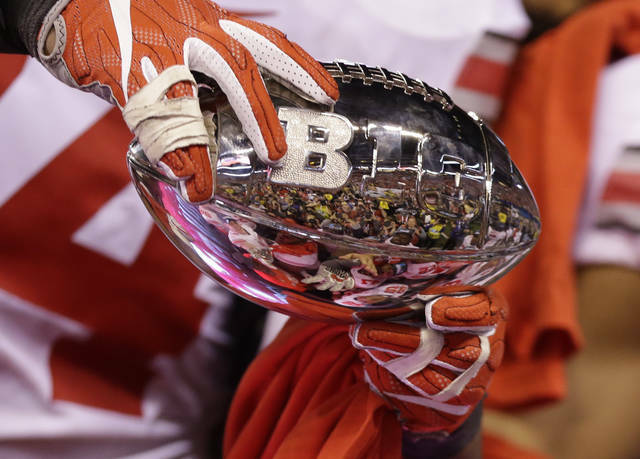 Ohio State, which last year became the first team without winning a conference title to make the playoff, was the first team left out Sunday even after beating previously undefeated Wisconsin 27-21 in the Big Ten title game. Alabama (11-1), which didn’t make it to the SEC championship game, was selected instead. In 2014, the first season of the four-team CFP, Ohio State made it to the national championship game and beat Oregon 42-20 at AT&T Stadium, the home of the NFL’s Dallas Cowboys that has hosted the Cotton Bowl since the 2009 season. The Buckeyes have won all four games since that shocking 31-point loss at Iowa a month ago. Their only other loss was 31-16 at home to Big 12 champ and playoff team Oklahoma the second week of the season. Quarterback J.T. Barrett said he feels like the Buckeyes are one of the top four teams and is hurt by them not getting into the playoffs. 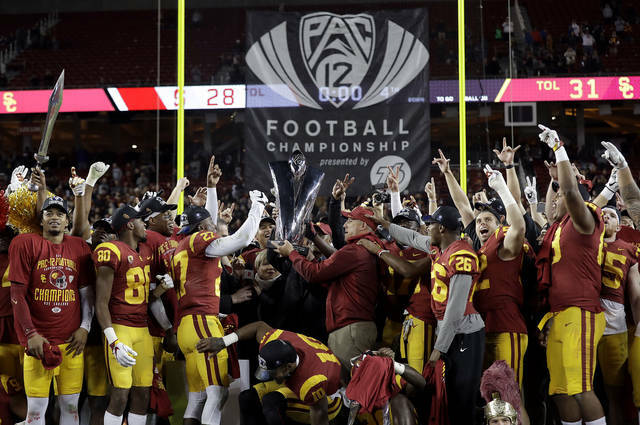 Southern California is coming off a 31-28 win over Stanford in the Pac-12 championship game on Friday night. It has been 33 years since the last Rose Bowl matchup between USC and Ohio State. QB MATCHUP: Helton, a quarterback coach by trade, said he is a huge fan of Barrett. “The matchup between J.T. and Sam (Darnold) is something that’s going to be really fun to watch,” Helton said. Barrett has thrown for 2,929 yards, run for 732 and accounted for 45 touchdowns (35 passing, seven rushing). Darnold has 3,787 yards passing and 31 USC touchdowns (26 passing, five rushing). ONCE BEFORE: Ohio State and USC have both played in the Cotton Bowl only once before, when the game was still played in the historic Cotton Bowl Stadium on the site of the state fair of Texas in Dallas. The Trojans beat Texas Tech 55-14 on Jan. 1, 1995. Ohio State won 28-12 over Texas A&M on Jan. 1, 1987, when Meyer was on coach Earle Bruce’s staff. NOT FOR THE ROSES: Southern Cal has won the last seven games in the series against Ohio State, including four regular season games since they last faced each other in the Rose Bowl on New Year’s Day 1985. The two teams last played early in the 2009 season, when the Trojans won 18-15 at Ohio Stadium. ROLLING ON OFFENSE: The Trojans had 501 total yards in the Pac-12 title game. Darnold threw for 325 yards and two touchdowns, and Ronald Jones II ran 30 times for 140 yards and two TDs. Michael Pittman Jr. set a Pac-12 championship game record with 146 yards receiving on seven catches. BIG TEN IN COTTON: This is the fourth year in a row — all since the current CFP system went into place — that a Big Ten team will play in a Cotton Bowl. The game matched Big 12 and SEC teams before that.